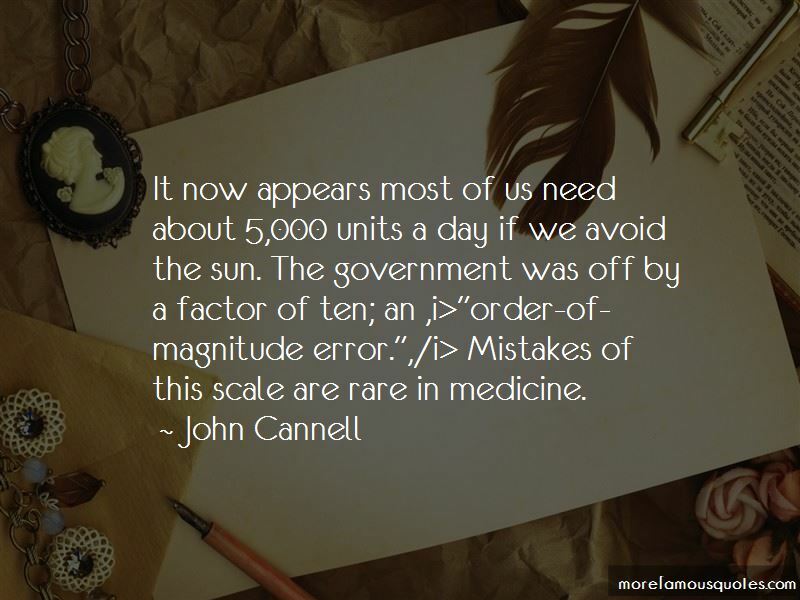 Enjoy the top 4 famous quotes, sayings and quotations by John Cannell. 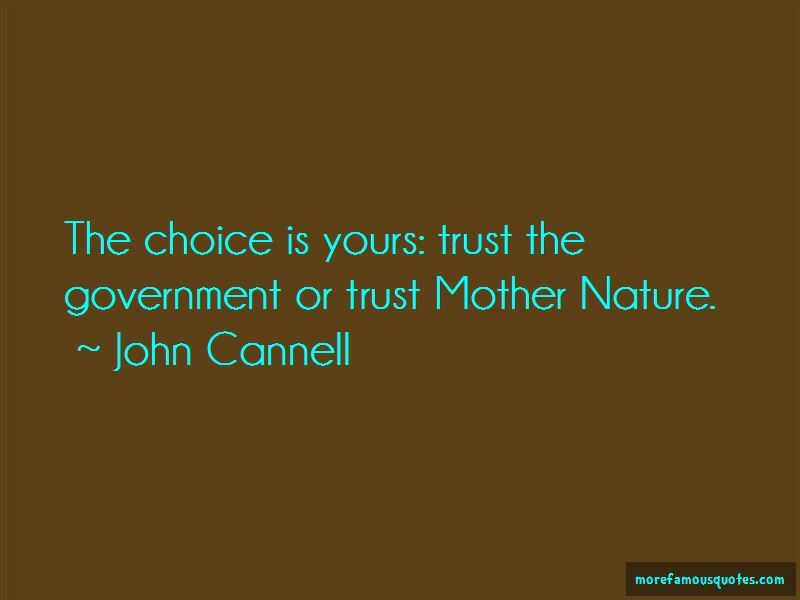 The choice is yours: trust the government or trust Mother Nature. It now appears most of us need about 5,000 units a day if we avoid the sun. The government was off by a factor of ten; an ,i>"order-of-magnitude error. ",/i> Mistakes of this scale are rare in medicine. 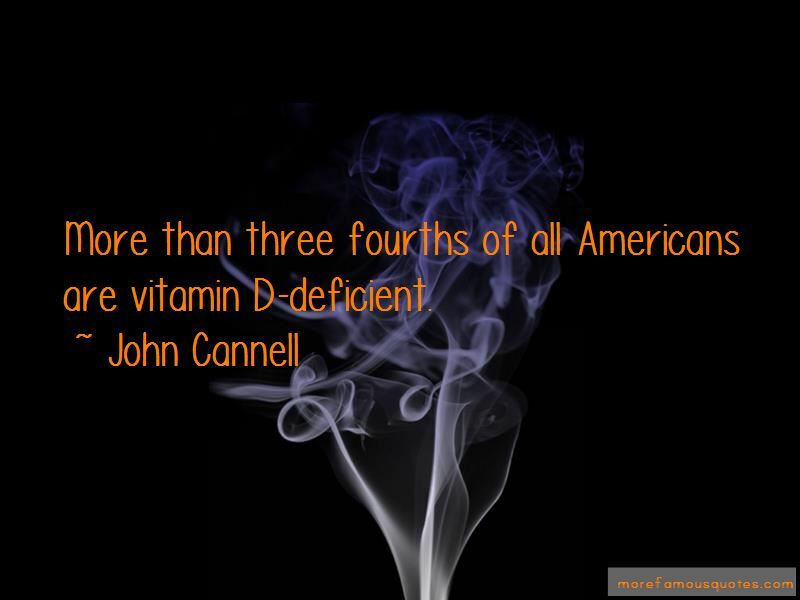 Want to see more pictures of John Cannell quotes? 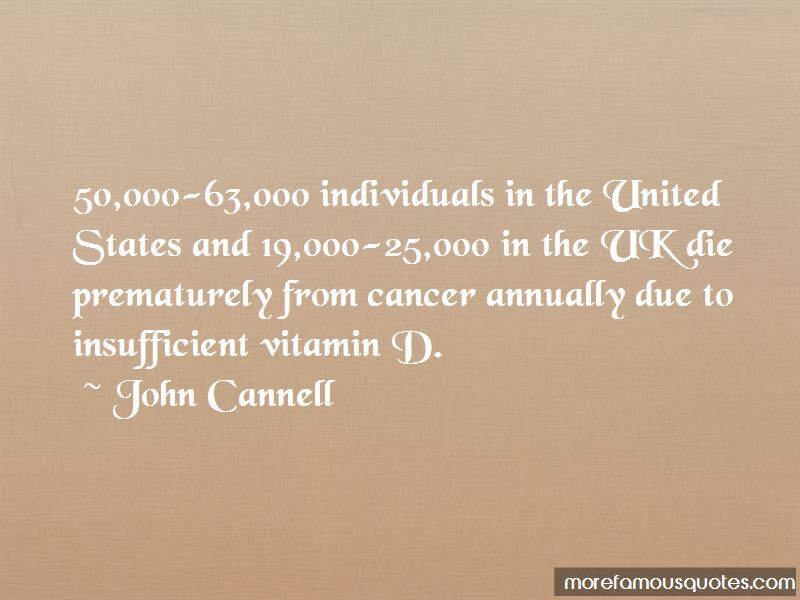 Click on image of John Cannell quotes to view full size.